In a typically mixed Baghdadi neighbourhood in 2006, a community of ordinary people try to live their everyday lives amidst the threat of unpredictable violence. At the heart of these intersecting stories we find Sara, a single mother and novelist, who regains her will to write after witnessing the forced exile of her Christian neighbour and best friend Sabiha. 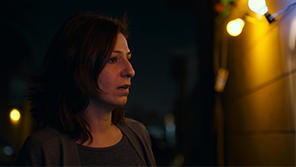 With the news of Saddam Hussein's sudden execution shortly before the New Year, Sara and her neighbours brace themselves for an uncertain future. Yet, like a miracle, each is able to sustain a fragile sense of hope. Sara and Reema’s story intersects with those of their neighbours: KAMAL, a former prisoner-of-war in Iran who is trying to erase the past; his pregnant wife MONA, who can’t forget her children from a past marriage; and her mother NERMEEN, whose son was ‘disappeared’ by the regime. Elsewhere, Sara’s manic-depressive friend DIJLA is always hunting for ‘happy pills’ while the pretty college student TAMARA keeps herself busy with music and fashion to distract herself from an unbearable reality. HAIDER, a teenager on the cusp of manhood, is being drawn into a sectarian gang as his father ABU HAIDER takes to the bottle. YAHYA, Sara’s brother, has to choose between accepting bribes to stay in his job or leave the country too. 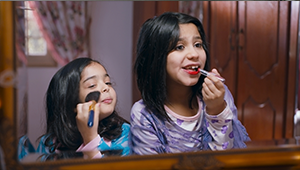 At the same time, the other characters go through catharses of their own: When Mona starts to have her baby her mother snaps to and realises that she must live in the present; Kamal decides to help his wife re-connect with her children; Dijla tosses her ‘happy pills’ down the drain; Yahya chooses to quit his job; Abu Haider realises his son needs him more than ever and takes his hand. Just before the New Year, as all wake to the news that Saddam Hussein has been executed, they are left in a state of heightened uncertainty. A car-bomb goes off... and then another. And yet, like a miracle, each sustains a fragile hope.